Getting bored with those 90s inspired box braids of yours? Don’t grab the scissors yet! 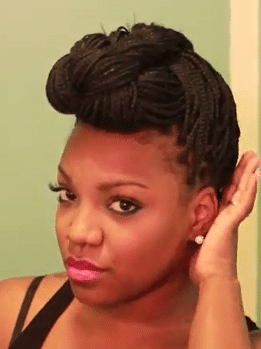 Teasedblackpearlz shares four super cute ways in which you can give your braids a stylish lift. Remember to oil up your roots! A dry scalp with braids is a a hair don’t.